Fuelled on quality and service. Building long term relationships with all of our customers. Durable and double sided tags. Big companies have a responsibility to follow safety compliance regulations and go a long way to achieve this. 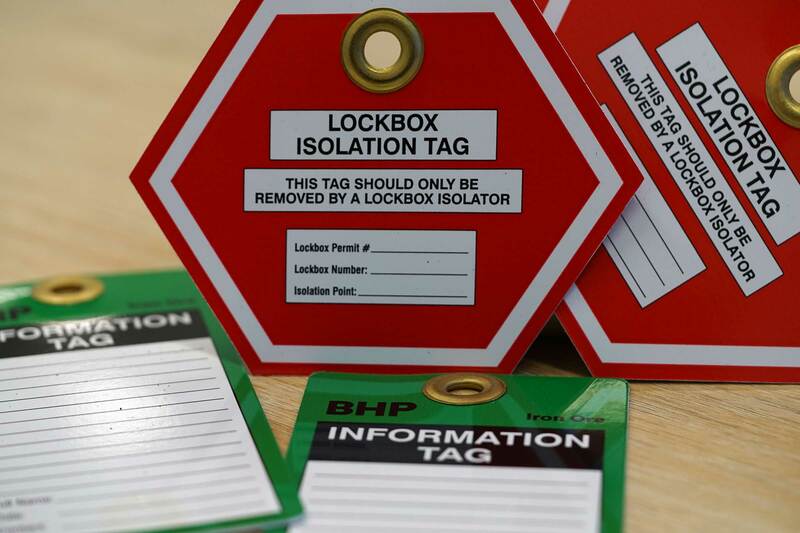 In industrial companies quality and endurance is important so these tags are ideal for meeting safety regulations as well as supplying an area to write relevant information pertaining to the product. For most of our products, the choice is totally up to you. We specialise in product labelling, outdoor and industrial print, equipment decals, data driven print (including barcoding), signage and project management.